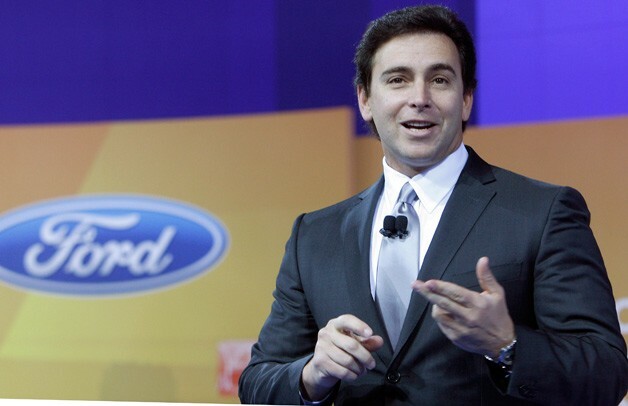 The latest chapter in the long history of Ford and the Jews began Dec. 1, when Mark Fields effectively began running the 109-year-old international auto firm. Fields, 51, has been lauded for his intelligence, skill and dedication to the company. He has worked all over the world for Ford, including a stint as the CEO of Ford-controlled Mazda. In early November, Bill Ford, the executive chairman and great-grandson of Henry Ford, announced the appointment of Fields -- one that makes him the heir apparent for the CEO post when Alan Mulally retires in 2014 or earlier. Fields, the descendant of Russian and Romanian Jews, became a bar mitzvah at a Conservative synagogue in Paramus, N.J., and received matzah and Hanukkah candles from his parents no matter where in the world he was working for Ford. A graduate of Rutgers University and the Harvard Business School, where he earned a master's degree in business, Fields maintains that he has never encountered any discrimination or anti-Semitism at Ford. Bill Ford, making the announcement of Fields' promotion, said, "The growth we've seen in him has been remarkable." While some might say that the anti-Semitic founder of Ford is likely rolling over in his grave as a Jewish man takes the reins of his historic company, the changes in the company have been happening for some time. History books will note Henry Ford's discriminatory writings and practices, as well as the company's ties to the Nazis during the Holocaust, but the Ford Motor Co. of the 21st century has continued the redemption process started by its founder's scions. I think the Jewish community got it's pound of flesh from Henry Ford when it took a leading role in the UAW organization of Ford. Let sleeping dogs sleep. My grandfather provided legal services to the UAW organization of Ford. He told me before he died that it was time to quit bringing up that aspect of Henry Ford. That was in 1962...50 years ago. Many Jews today drive Volkswagen and Mercedes products with no mention of thier roll in the Halocast. I think a Dictionary would make a very nice Hanukkah gift for David. Another thing he may enjoy is a sense of history and a heimisha conscience. I agree that it is fitting to see Mark Fields rise in the leadership of FMC, but the fact that it's remarkable (because he is Jewish) is lamentable. It is only because Henry Ford Sr. conducted a prolonged campaign of published defamation of Jews during the 1920s that the Ford Motor Company (and the Ford Family) feel obligated to atone for anything in the company's past. Feel free to check out my new book, _Henry Ford's War on Jews and the Legal Battle Against Hate Speech_ (Stanford University Press; available on amazon.com and bn.com) for the full history of Ford's antisemitism and the legal problems it caused him. And David from Punta Gorda: many Jews today still refuse to buy Fords.